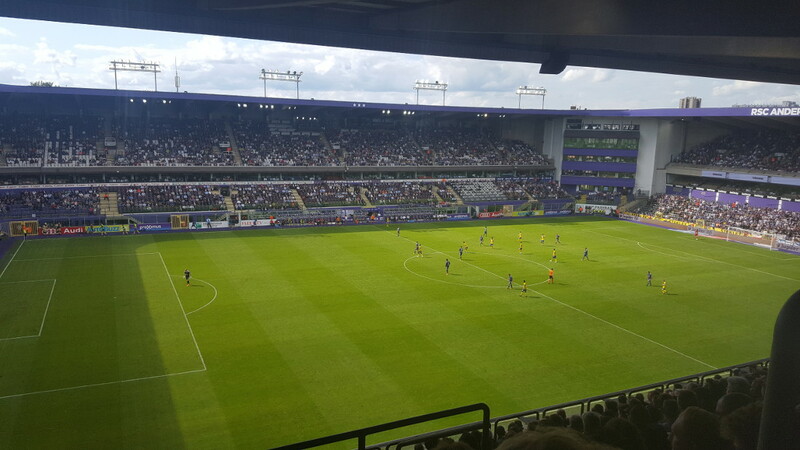 In the early 20th century, Anderlecht’s popularity was growing rapidly and the club was therefore in need of a new and larger home. 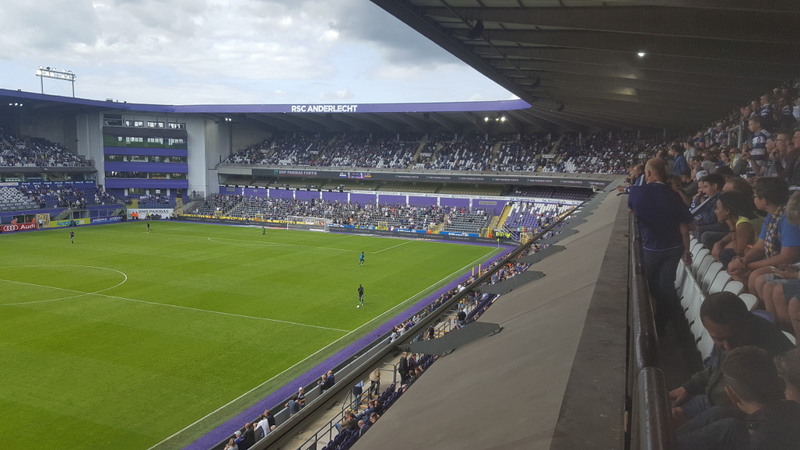 They found a site at the Astridpark in the Anderlecht borough and plans got quickly approved by the local council. 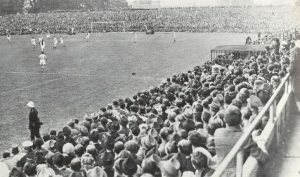 Constant Vanden Stock Stadion opened in the summer of 1918, but was initially named in honour of the first president of the club, Emile Versé. 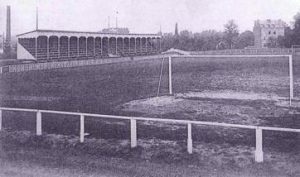 Stade Emile Versé initially only consisted of a sole wooden stand, which got replaced by a concrete one when the club promoted to the first division in 1935. Further concrete terraces were built in the 1950s, and in 1962 a new seating stand got built on top of one of the terraces. 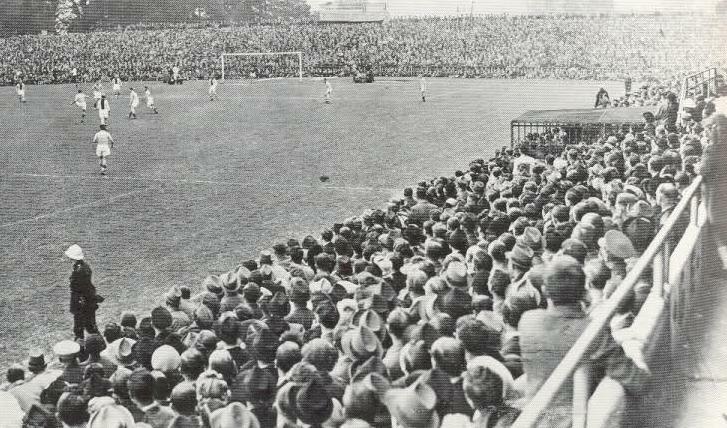 This resulted in a capacity of almost 40,000. Stade Emile Versé recorded its highest attendance in 1980 when 38,349 supporters visited a match against Standard de Liège. In 1983, the club embarked on a major redevelopment of the stadium. Works started with the reconstruction of the main stand, and in subsequent years continued with all other stands. Upon completion of the main stand, the stadium had been renamed in honour of club president Constant Vanden Stock. 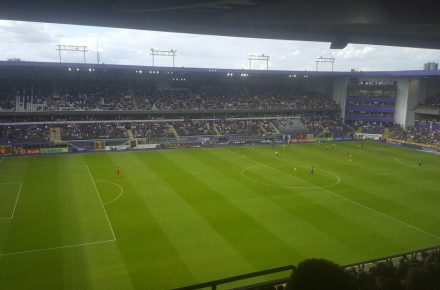 Constant Vanden Stock Stadion was not selected as a playing venue for the Euro 2000 tournament as capacity did not meet the 30,000 threshold. 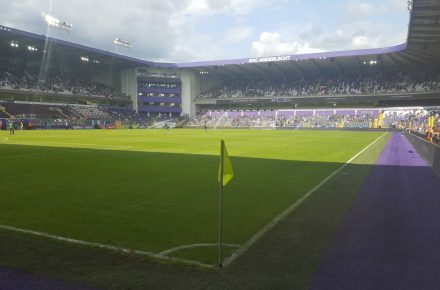 Local government funds that could have been used to expand the stadium were invested in the Stade Roi Baudouin instead. The club then decided to invest their own funds in improving their squad. 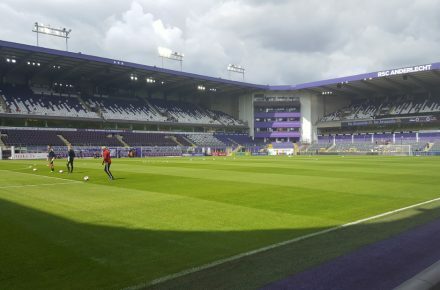 In the summer of 2012, the stadium underwent a small refurbishment to keep it eligible to host Champions League matches. Works included the installation of new and more spacious seats, which in turn reduced capacity from just over 26,000 to its current total of 21,500. 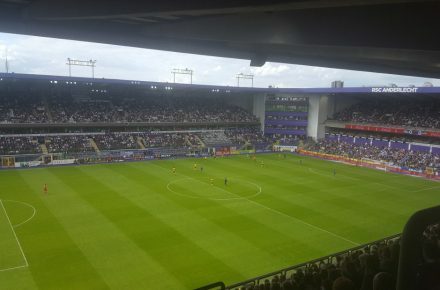 For years, Anderlecht have been looking into the options of either expanding the Constant Vanden Stock Stadion, or building a complete new stadium. 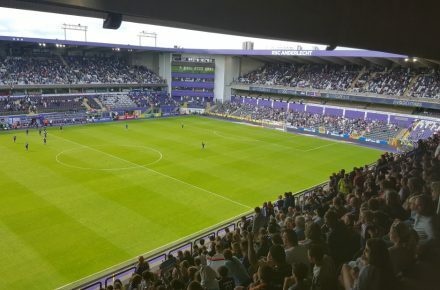 While preferring the former, plans to expand the stadium did not get approval as local citizens objected, and the club therefore decided to become the occupant of the future Eurostadium, despite feeling that the 60,000 capacity is much too large for the club. 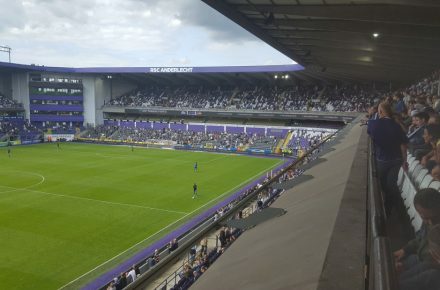 The Eurostadium is expected to be completed in the summer of 2019, which means that Anderlecht will move out of the Constant Vanden Stock Stadium at the end of the 2018-19 season. No decision has currently been made yet what will happen with the stadium after, with local legislators studying the options. 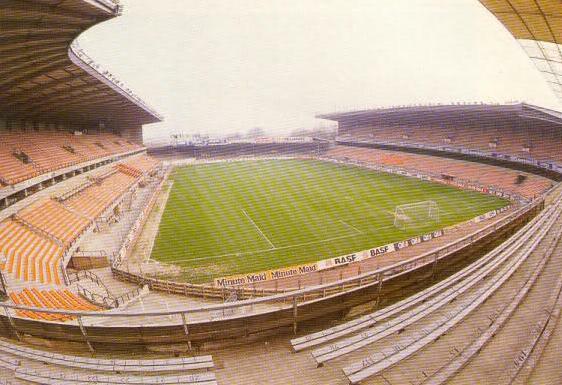 The Constant Vanden Stock Stadion is located in the west of Brussels, slightly more than 4 kilometres from the city centre. From the Brussels ring road (RO) take exit 14 Anderlecht. Turn towards the city onto the Boulevard Sylvain Dupuis. After almost a kilometre turn right at the traffic lights, and after a few hundred metres left onto the Théo Verbeecklaan. There is limited parking available round the stadium, and it may be wise to leave your car at Westland Shopping right after exiting the ring road. If you arrive by public transport, take metro line 5 in the direction of Erasmus and get off at station Saint-Guidon, from where it is only a small walk to the stadium. Line 5 passes Brussel’s main railway station (Gare Centrale), which lies in the middle of the city centre. 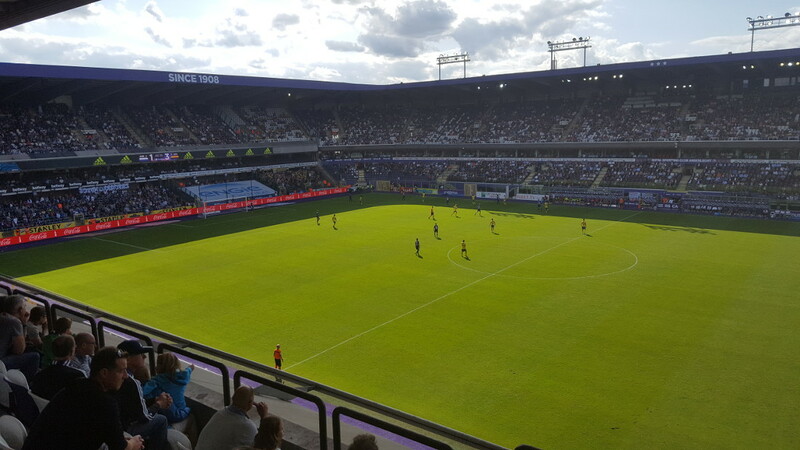 The Constant Vanden Stock Stadion is located in a rather dense residential area and is bordered on two sides by the nice Astridpark (Parc Astrid). It is a reasonably lively area and there are a few pubs and restaurants around, though the options obviously pale in comparison with Brussels’ city centre. 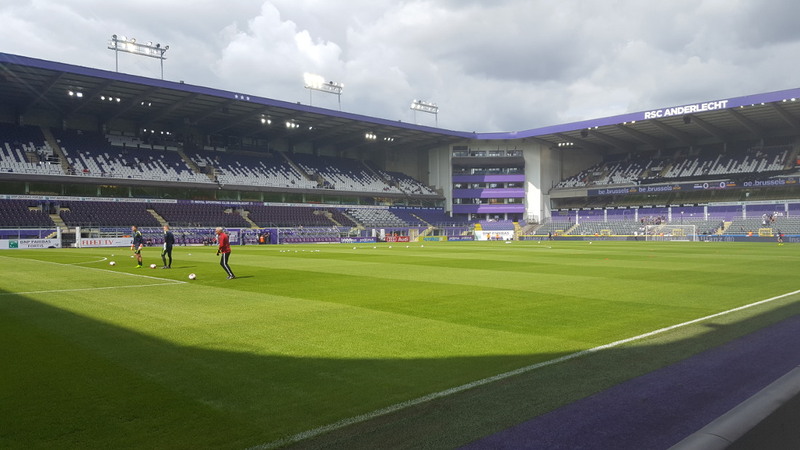 There are no hotels in the immediate vicinity of the stadium, though Hotel New Prince de Liège is at about 20 minutes walking. This hotel is most of all suited for people arriving by car, as is Hotel Erasme, which is near the ring road at the end of metro line 5. 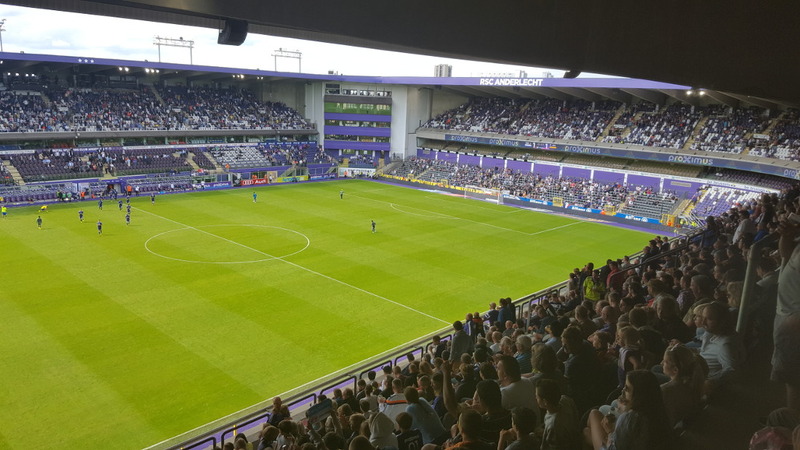 Click here for an overview of the hotels near the Constant Vanden Stock Stadion. Otherwise, the hotels near Brussels Midi railway station are not too far away from the stadium, even (just) at walking distance (or get tram 81). There are, of course, also plenty of options in Brussels’ city centre, which is a short metro ride away. 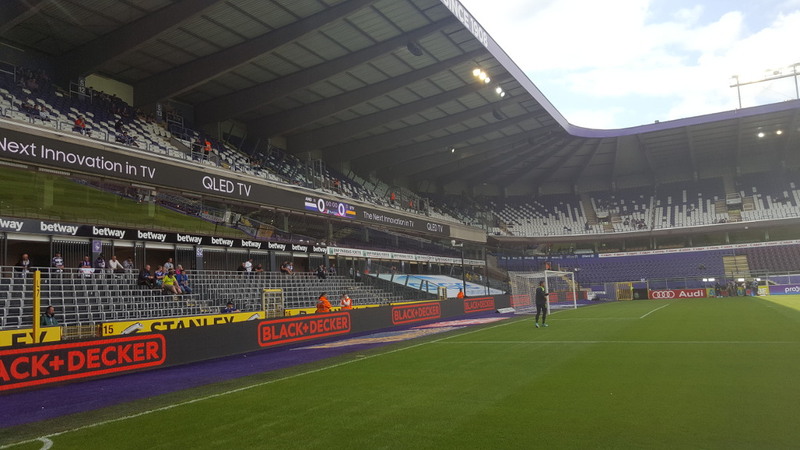 Tickets for Anderlecht games can be bought online, or at the ticket office at the stadium. 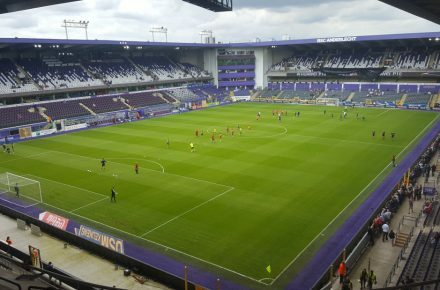 You need to bring an ID in order to be able to buy Anderlecht tickets. 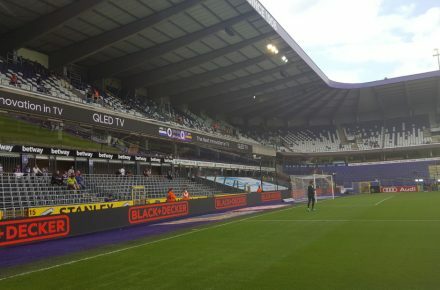 Anderlecht sell out regularly, but tickets for most matches will be available if bought in advance. 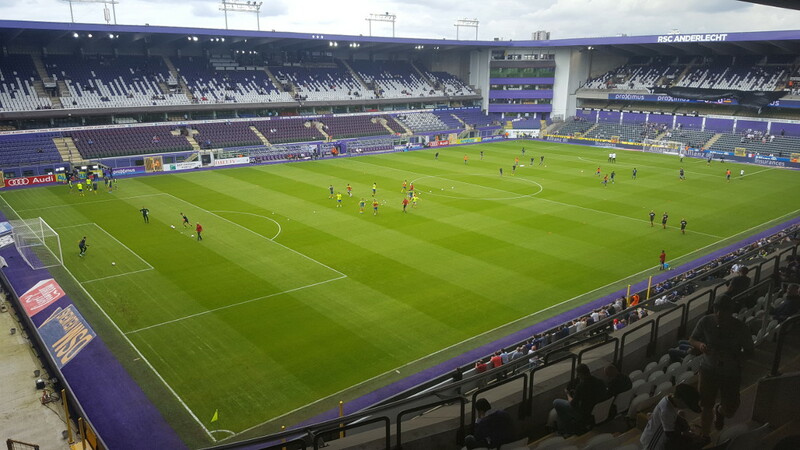 The price for a seat typically ranges from €28.00 to €40.00, but can vary depending on the opponent. 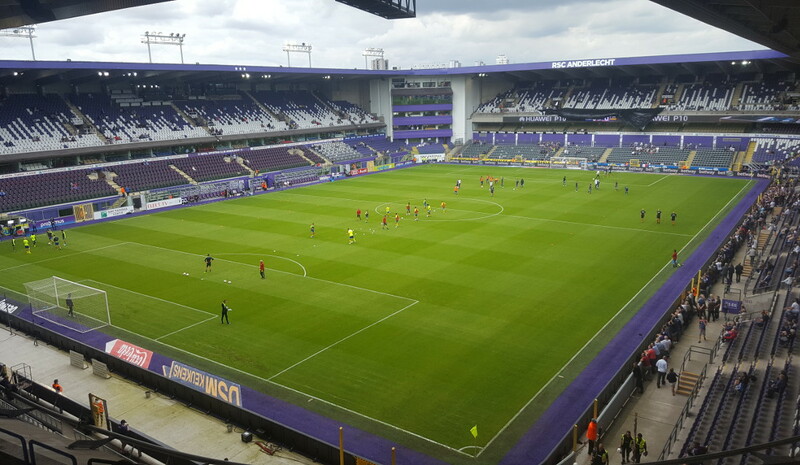 For more information call +32 (0) 2 529 40 67 or email ticketing@rsca.be. RSCA.be – Official website of RSC Anderlecht. 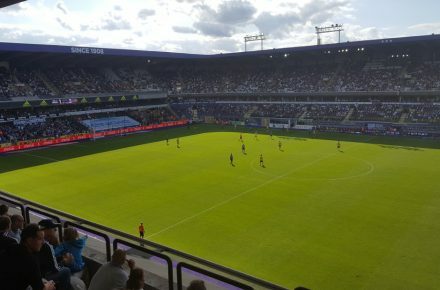 I went to a game between Anderlecht and Kortrijk yesterday. I bought my ticket on internet about two weeks before the game. The ticket selling website is only available in Dutch and French o I had to use Google translator but it worked fine. They do not send tickets abroad so I picked them up before the match. there is a special ticket window at the stadium to collect internet bought tickets. 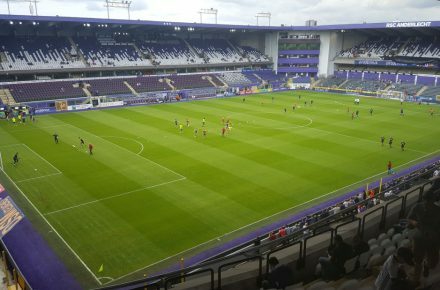 I was planning to go to see a game between Anderlecht and Olympiacos earlier but the tickets never went on general sale. It is quite strange that only 15000 people attended that game but rather then selling tickets to open public they preferred to leave a quarter of the stadium empty. When I finally made it to Constant Vanden Stock Stadium I was happy with both internal and external look of it. Metro station Is just 500 meters away from the stadium. Just exit the station to the right, take first right and keep walking until you see the ground on your left. In my opinion they take security measures to extreme in Brussels. I went there just for the day mainly to watch the game. I had a little over shoulder bag with me. I was told it is not allowed to get into the stadium with any bag at all. I had to keep everything in my pockets and that included the bag itself. I don’t think it made any differenced if I had everything in pockets or a small bag. Match day programmes are free and were given out just outside the stadium. I think seats are quite small, but I am a big guy so it is just my personal opinion. The are comfortable though. Food and drink outlets are located inside the stadium so you have a range of products to choose from. I was quite disappointed with the lack of support from the home fans. Maybe it was due to a weaker opponent. Overall Brussels is beautiful and I recommend every footy fan to go and attend a match at Constant Vanden Stock Stadium. 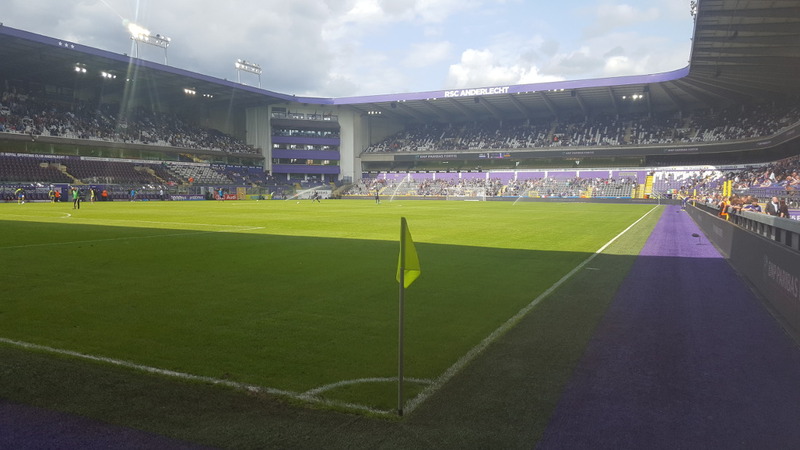 Date and match visited: Sunday, 4th March 2012 vs Cercle Brugge. 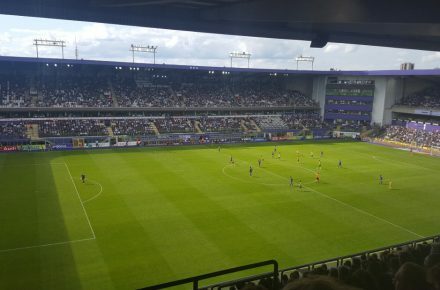 On taking my eldest son to visit Brussels, we decided to try and see a Anderlecht match. 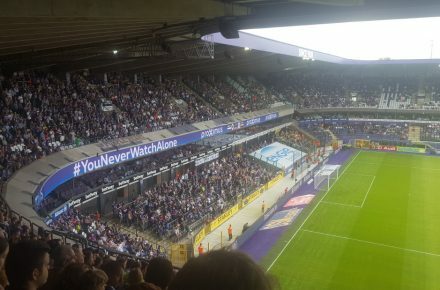 Getting tickets in advance was not so easy even though the official website(http://www.rsca.be/go/en)does have a e-mail address (ticketing@rsca.be), but I did not recieve any replies to my request on how to actually purchase tickets online. 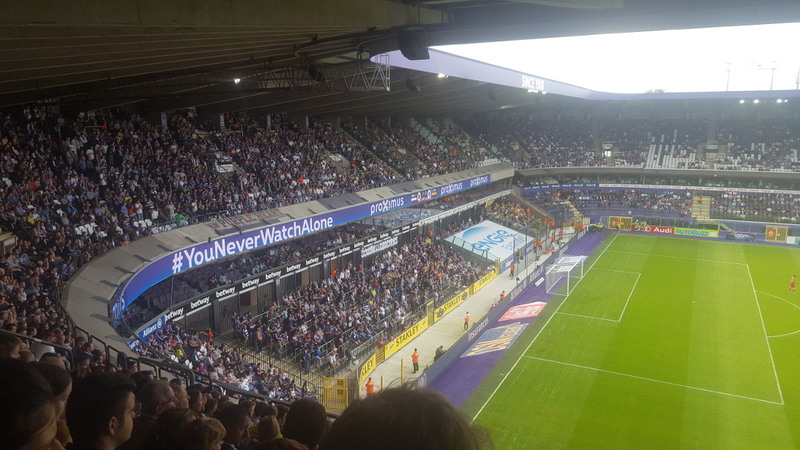 I then saw via the web a list of RSCA Supporters assocations with contact details. I ended up getting in touch via e-mail with the Secretary, a chap called Ivan. He was most helpful,and arranged 2 tickets which he posted to the UK and I paid ticket price into his bank account. Prices were 24 euros each. We even arranged to meet before the match to exchange scarfs (our Team being Heart of Midlothian FC, of Edinburgh, Scotland). 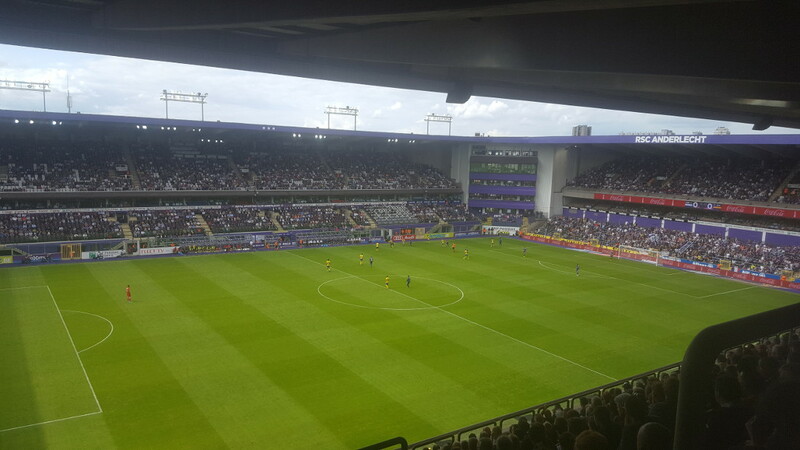 The actual stadium is accessible by metro from central Brussels and then a short 10 mminute walk to the Stadium. There are plently food outlets, bars and cafe surrounding the Stadium. 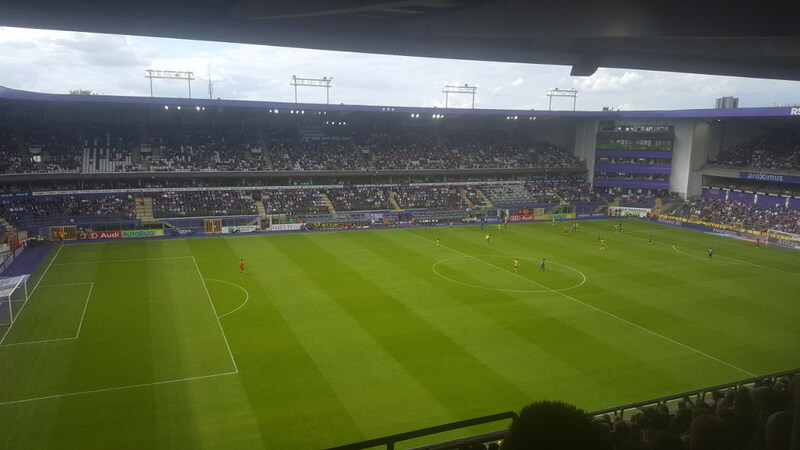 Inside the stadium, it has a compact feel, seating is reasonably comfortable and views are generally good. Overall it was a good visiting experience with a pleasant atmosphere.